In a nutshell? Video games as ART. And I’m not talking about graphics art. 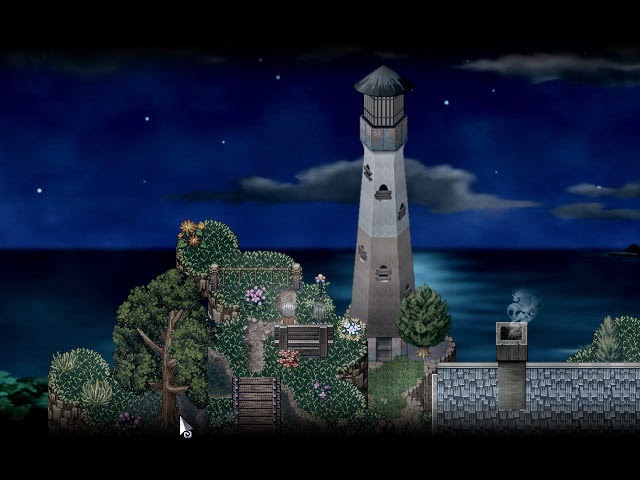 TTM (for PC and Mac) was created using the RPGMaker XP engine but it’s not an RPG. It’s a story-driven game that’s more close to being a highly interactive visual novel than a puzzle/adventure one. Story: An old man’s dying wish was to go to the moon. 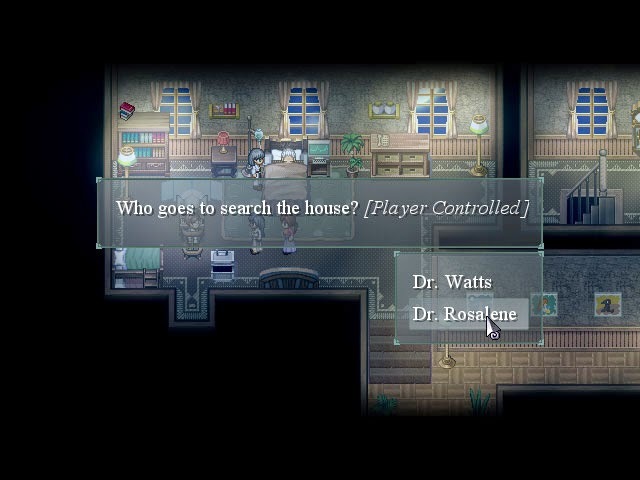 So Dr. Rosalene and Dr. Watts go through his memories to make it possible, even if it only happens inside his head. I played this game 8 months ago and just taking screenshots of it for this blog entry makes me reach out for that box of tissues again. On the bright side: I’ve heard it made grown men cry, too. 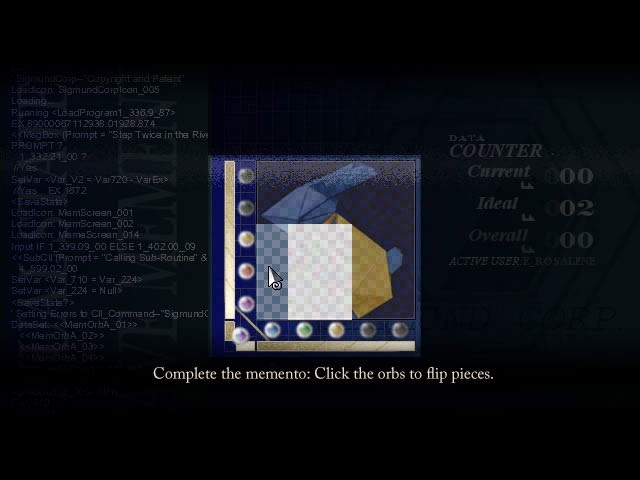 The gameplay is pretty simple: go through the places in Johnny’s memories in order to unfold pieces of them. Sounds fun, but it turned out to be such a cryfest for me. What actually amazes me is that there are some aspects of the gameplay that I really hated, but I went through them anyway just so I’d know more about Johnny and his life with his deceased wife River. 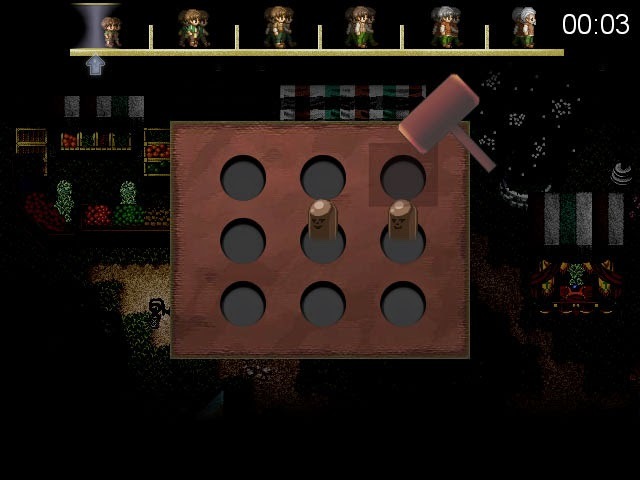 Aaaand this whack-a-mole activity in a festival. Thank goodness it was OPTIONAL. 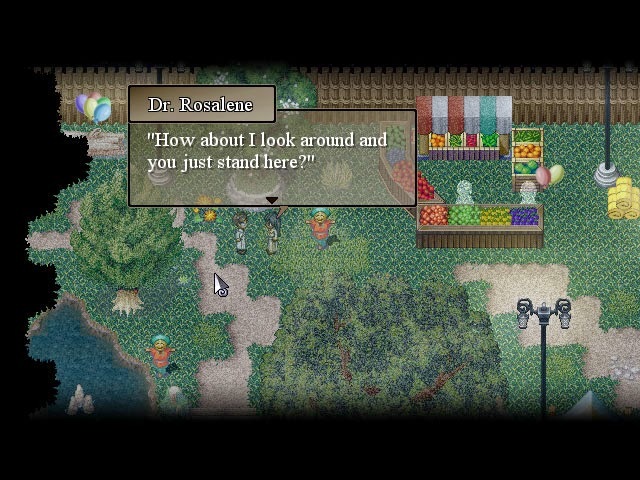 I don’t really know how I can describe my experience with this game without spoiling it for most of my readers, so I’ll probably just talk about how Dr. Rosalene is the serious one while Dr. Watts seems to be the type to break the cryfest sessions with his weird (geeky) jokes. One other thing I noticed about this game is the amount of work that went into its animations. 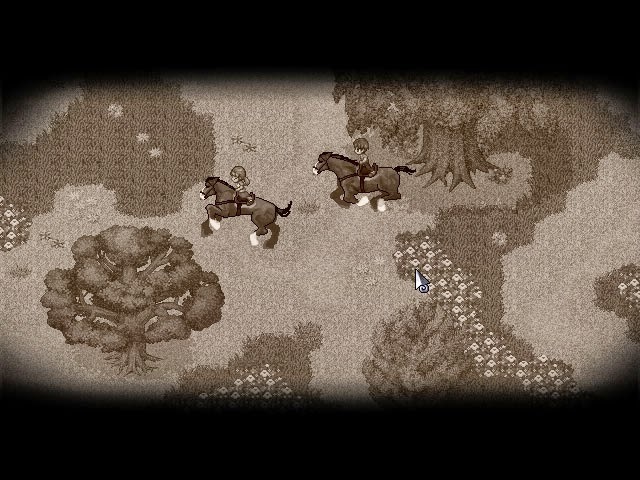 The developers definitely pushed the boundaries of RPGMaker for this. There’s not much I can show by way of screenshots but perhaps the trailer can help. Oh, and the music is absolutely gorgeous! 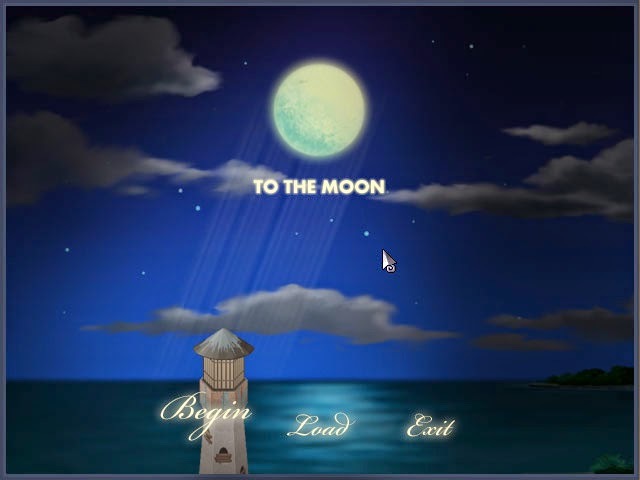 I can’t believe it’s been 8 months since I finished To The Moon and it still strikes me right in the kokoro. That’s quite an impact for an indie game. I’d also like to leave one final screenshot here, one that’s full of meanings in the game, before I go and get another box of tissues. Disclaimer: Probably not for most mainstream gamers who would complain about the 16-bit graphics even though they only spent $5 on it.